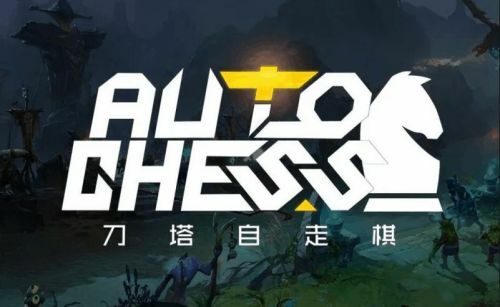 Dota Auto Chess a digital version of board games with Dota2 heroes. The hard working couriers of the Dota2 like to spend their vacation at Drodo Island where they play this version of chess to pass time. As a player, you are basically the courier but the couriers don't work for the heroes here, it's exactly opposite. The heroes are the pawns you use to win in this 8x8 multiplayer game. Every player starts the game with 100% HP facing the creep rounds for first 3 rounds, after that the game sends your pawns to someone else's board and someone else's heroes arrive on your board. If you win the round, you get to stay where you are. If you lose the round, you lose a percentage of your HP depending on how huge your lose is. If you put up a good fight and lose by 1-0 chances are you will lose 1-2% hp while if you lose a board by 10-0 you will lose 15% of your hp with one loss. The right side in game leader-board shows where you stand compared to other players, the player with the highest HP remaining will be on top and the player with lowest HP remaining will be in the bottom, every player will be eliminated when their HP is gone. The last player to survive wins the game. 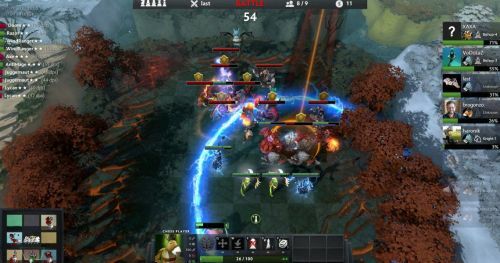 It sounds pretty simple but N0tail said, "Dota is a sick mental game" and Auto chess is no less of a brainstorm. You will see players dropping to 1% of their HP and then defending constantly, holding their position and eventually winning the game. Luck might be a slight factor but honestly, if you understand the game's mechanics you will realize there's no luck. I will start with some common tips before I move on to the combos, If you are totally new to Auto Chess and Don't know crap about the game then read the combos, if you have already learned a few then here's your chance to see if you can learn any new combo from here. Honestly, when I casually searched Youtube to learn some combos, it disappointed me. There's not enough "good" tutorial and Bulldogs stream can be fun but I feel that players with more experience can learn from such streams but not the new players, it's really important to break it down to them. However, shout out to Bulldog for coming up and playing the game, his streams did help a lot of players. 1. Don't waste your gold refreshing. Yeah, when someone told me that I did not care but it works. Refreshing will not give you any pawn that it is not giving you anyway. You get pawns based on what your opponents are picking. Just like any other card game, there's a limit or maximum amount of each card. Now in this game, it does not seem that way but it's true. If other players are picking a lot of Orc-Warrior, chances are you will get them less. The tray shows you cards that others are less. So keep your gold, refresh once in a while but not too much. 2. Think of a plan and slowly develop the plan as you go. It's important to level up your heroes but it's also important to complete the combo. If you are making a Warrior-Warlock combo you need 6 slots open for it to work, so don't waste much gold refreshing the page to get that one damn Witch Doctor, you will get it eventually, focus on slots and other heroes until then and slowly work towards leveling up heroes and donkey both.